After months of speculation, Minnesota Sen. Amy Klobuchar has announced that she will run for president in 2020. 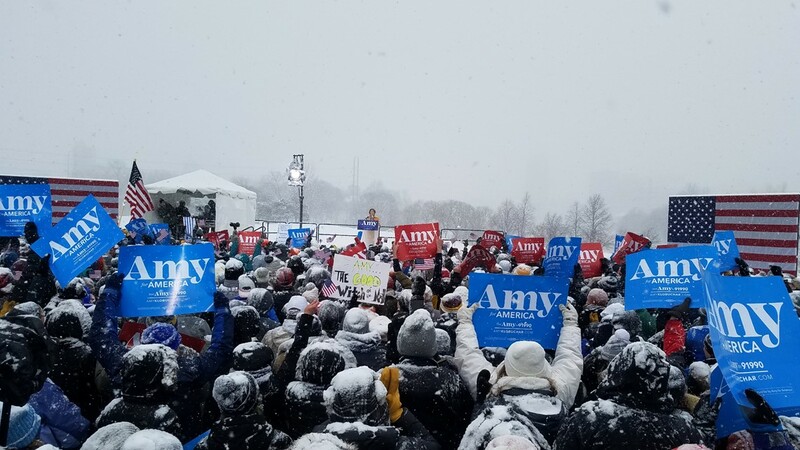 Sen. Amy Klobuchar is running for president. 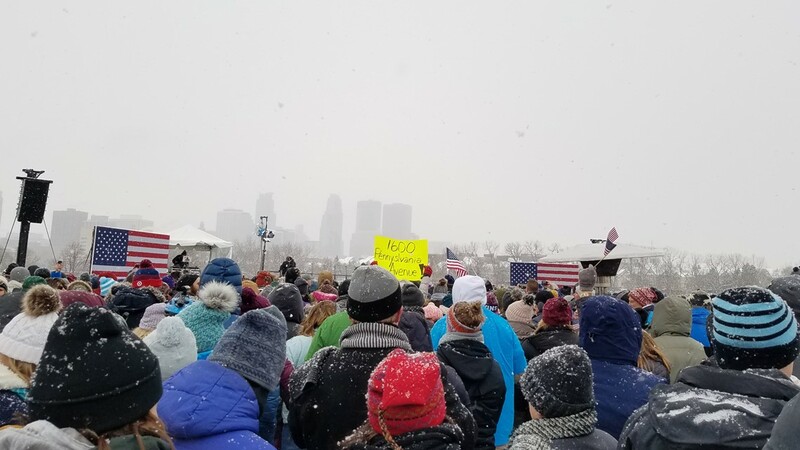 The Minnesota senator announced her long-anticipated 2020 bid at Boom Island in Minneapolis on Sunday afternoon. 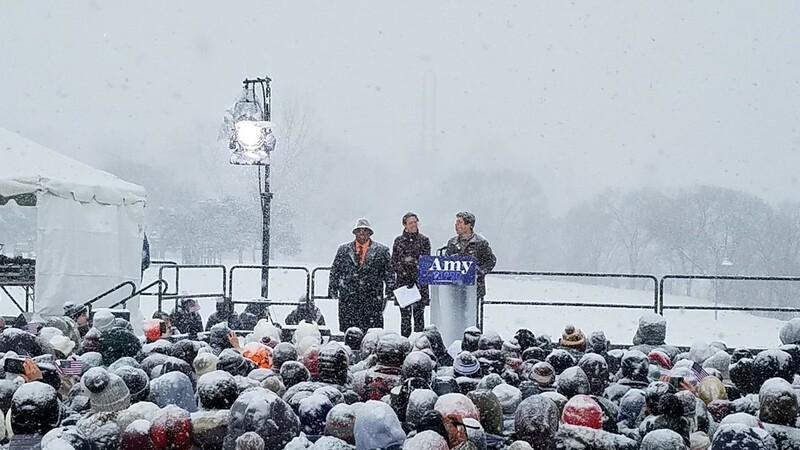 "So today, on an island in the middle of the mighty Mississippi, in our nation's heartland, at a time when we must heal the heart of our democracy and renew our commitment to the common good, I stand before you as the granddaughter of an iron ore miner, the daughter of a teacher and a newspaperman, the first woman elected to the United States Senate from the State of Minnesota, to announce my candidacy for President of the United States," Klobuchar announced to the crowds gathered at the event. 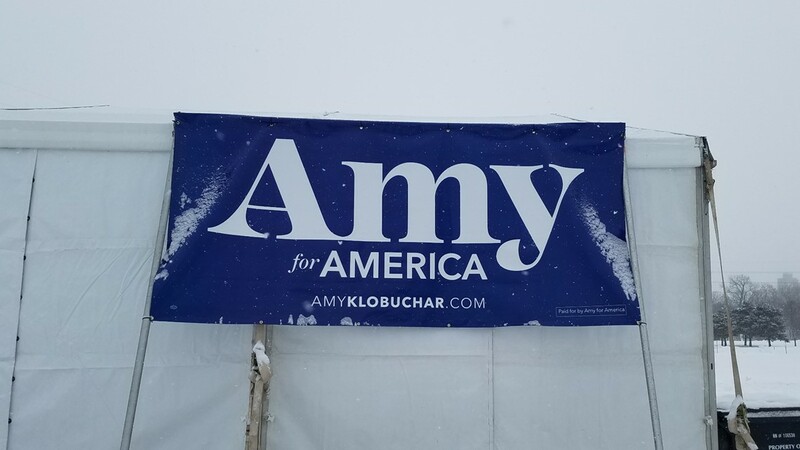 RELATED: Who is Amy Klobuchar? After months of speculation, Klobuchar hinted at the announcement this past week on MSNBC, after President Donald Trump’s State of the Union address. 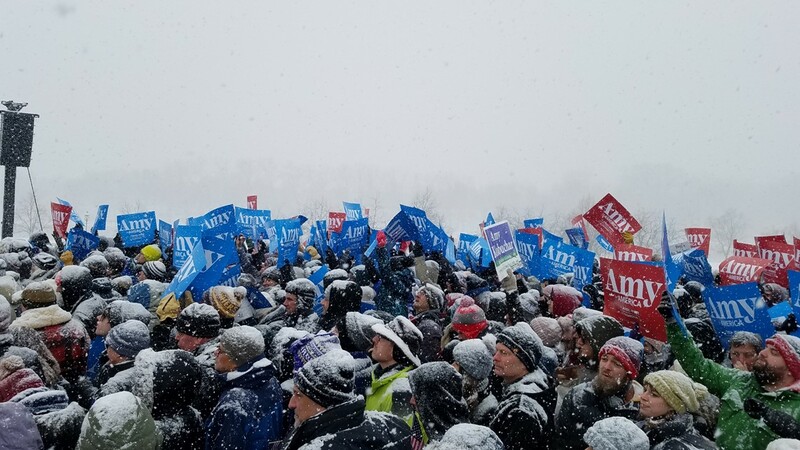 Klobuchar warned viewers that it would be cold, but after the polar vortex, 17 degrees didn’t scare away the thousands of supporters - and some protesters - who gathered Sunday. 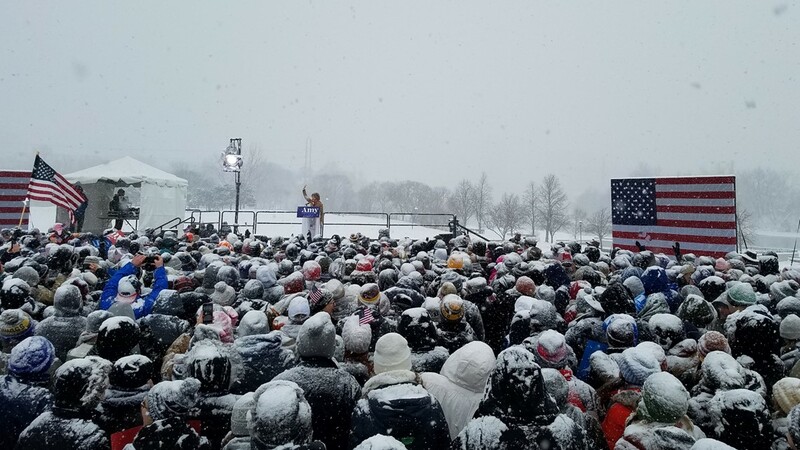 Despite harsh weather, thousands of Minnesotans braved the blustery conditions to witness history, undeterred as the snow kept falling and Klobuchar made her announcement. “I am super excited, I could cry. It’s that important. I am 75 years old, I have worked on so many campaigns, you have no idea. 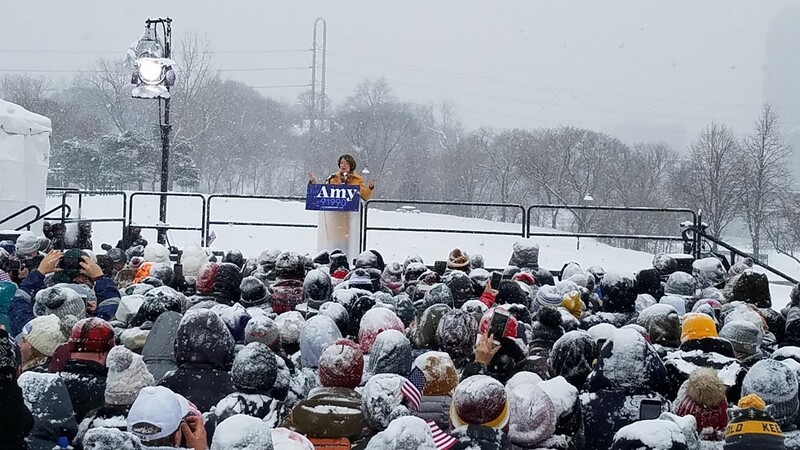 This is it,” said Sally Latimer, wiping away tears before Klobuchar took the stage. 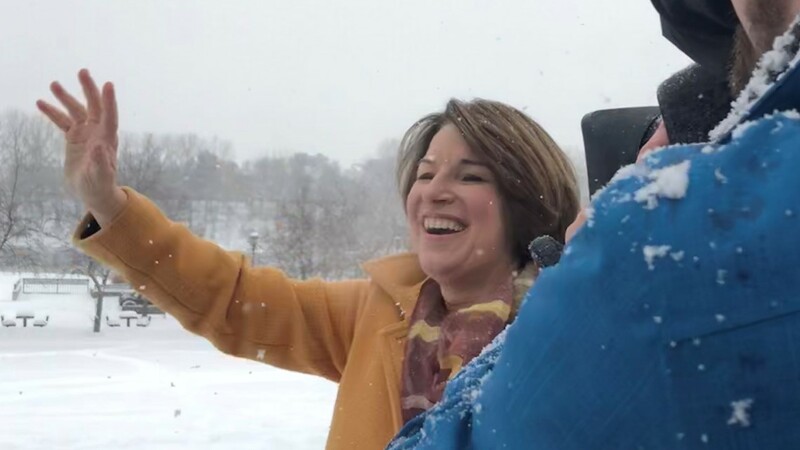 Klobuchar will also make a trip to early caucus state Iowa later this month. She’ll appear at the Ankeny Area Democrats Winter Banquet and Fundraiser Feb. 21. 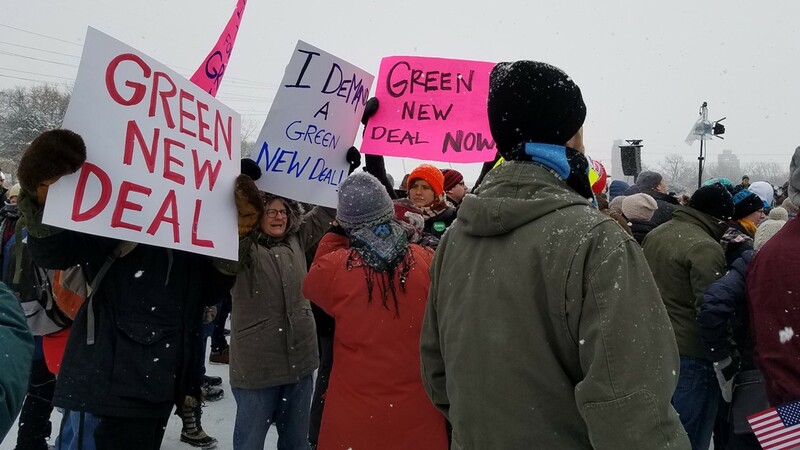 The DFL senator was elected in 2006 and re-elected in 2012, and in 2018 she easily beat out Republican Rep. Jim Newberger to win a third term. In her first 12 years in the Beltway, Sen. Klobuchar has gained a reputation for cutting through the gridlock to pass bills with members from across the aisle. 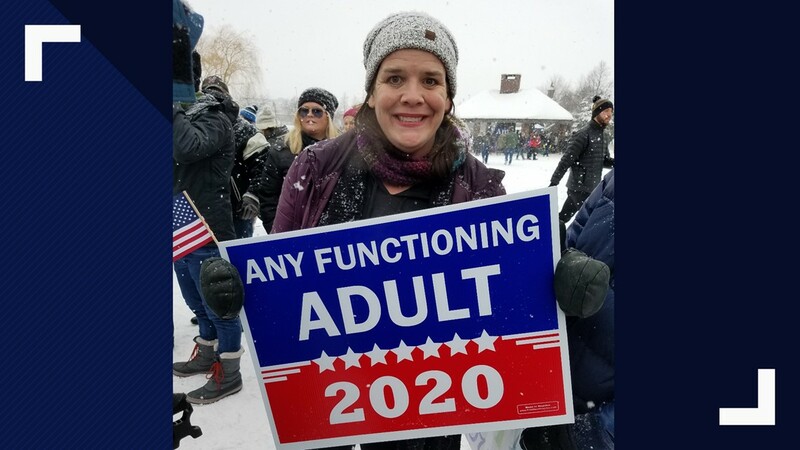 Even in the first two years of the Trump era, Klobuchar has gotten 11 bills signed into law as the main author, and another nine bills as the leading Democratic co-author. The former prosecutor made the national spotlight as a member of the Senate Judiciary Committee during the confirmation hearings for then-Judge Brett Kavanaugh. She asked him he had ever blacked out while drinking, and he replied, "No, have you?" Kavanaugh later apologized, and Klobuchar accepted that apology. Klobuchar served for eight years as the district attorney in Hennepin County, prior to making her first bid for the Senate. She first made political news leading the fight for longer maternity ward stays for new moms, after her baby daughter Abigail was born with complications. She’s the daughter of former Minneapolis Star Tribune columnist Jim Klobuchar, and often speaks of her family’s Iron Range roots. Minnesota political consultant Jeff Blodgett said Klobuchar’s appeal to voters is that she has a strong record on consumer issues that affect families directly, and would likely run as a problem solver candidate. 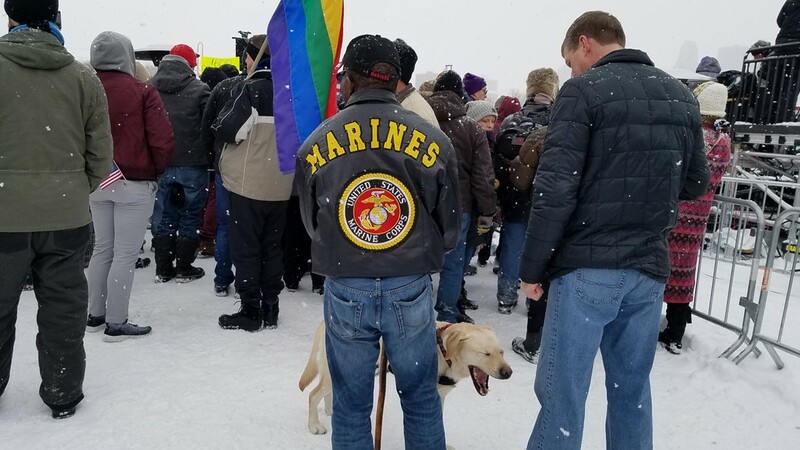 He said one advantage Klobuchar has in a crowded field is that she represents a calm, rational voice in a time when political discourse has become angry and turbulent. 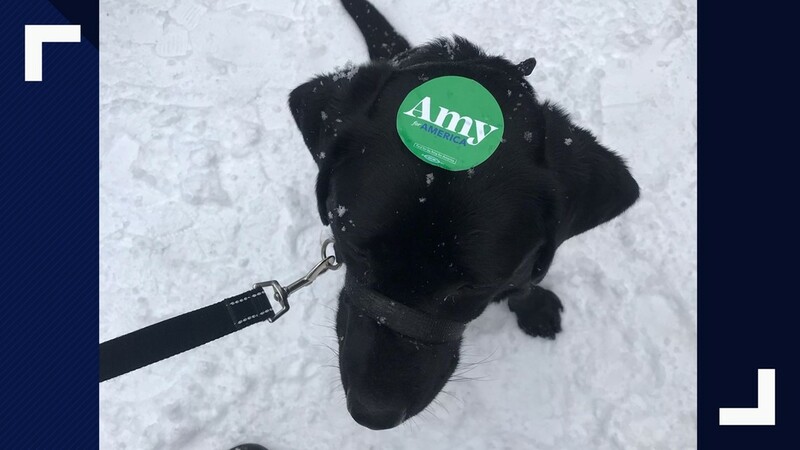 Blodgett, who ran all three of Paul Wellstone’s Senate campaigns and both of Barack Obama’s Minnesota campaigns, said he believes Klobuchar will be able to fend for herself in debates with the more well-known national figures. Washington Post columnist and longtime political commentator George Will recently called Klobuchar the Democrats’ best bet for defeating President Trump in 2020.